Grand Central Market has been a staple in downtown Grand Rapids since 2005. But when the Powell family took ownership in 2010, they focused on creating a welcoming space that invites everyone to be a part of the Market family. Nearly a decade later, the Powell family remains committed to offering fresh, locally made products and dedicated service to the GR community. And, thanks to the work of award-winning chef Cheryl Powell, the Market offers an impressive catering service along with a diner featuring an expansive breakfast and lunch menu. 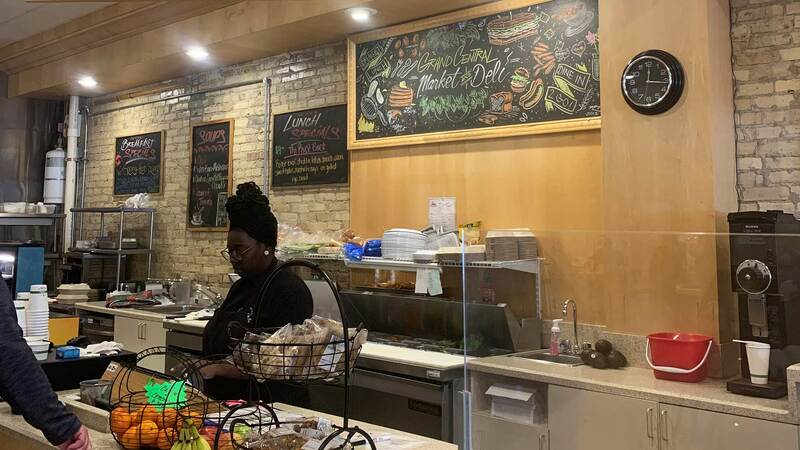 This, paired with the market’s centralized location in downtown GR, makes visiting Grand Central Market an easy choice for those who live, work or play near Monroe Center. 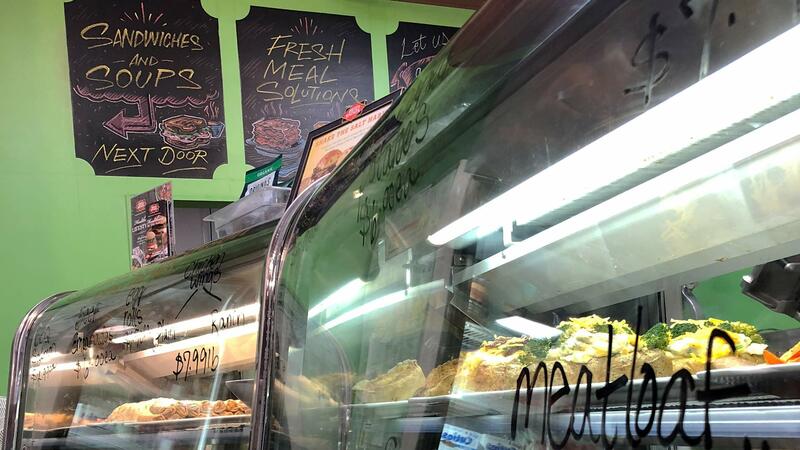 Grand Central Market offers a diverse selection of scratch-made meals and sides that can be enjoyed on-the-go or inside the newly expanded diner. Tell us a bit about the history of your business. How did you get started and what did it take to get to the point you’re at today? What makes Grand Central Market different from the competition? Grand Central Market's deli case features packaged salads, specialty pastas and much more. What’s your favorite thing about operating a business in downtown GR? What’s on the horizon for Grand Central Market through the remainder of this year and beyond? As a Rockford Property Management resident or member of Blue35, you have access to the Rock Perks program, which will get you 10% off all grocery and diner purchases at Grand Central Market under $100. To take advantage of the discount, just present your Rock Perks card. Don’t have a Rock Perks card yet? Consider joining us as a resident.